I used the Nikon D70's ability to synch with a manual strobe at any shutter speed to lose the background by using 1/750. 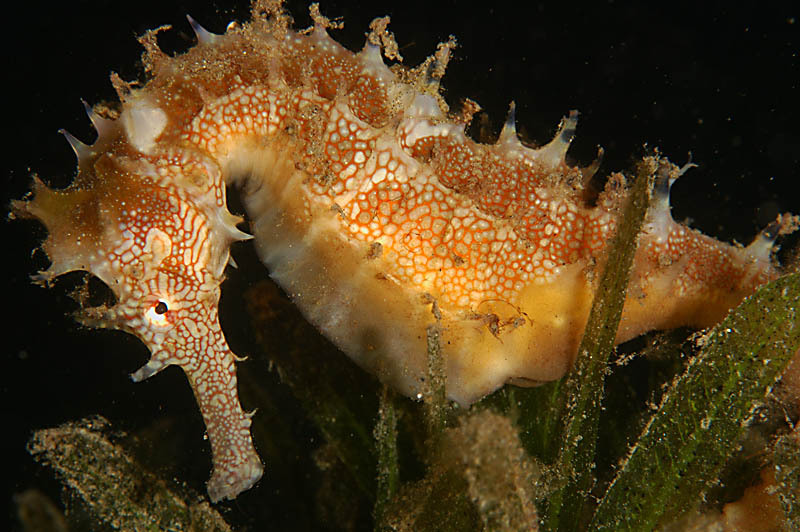 Great picture for a beautiful seahorse, the lack of background worked very well. Congratulations! Way no man, Thats at the zoo acuarium if I'm not mistaken... cool. You are mistakenthis was shot in the wild in sea grass at about 11 metres. Beautiful seahore. I don't think I've seen one that close before. Thanks for the feedback. I was fairly close and a 100mm macro lens helped. They're also slightlybigger than some other sea horses.